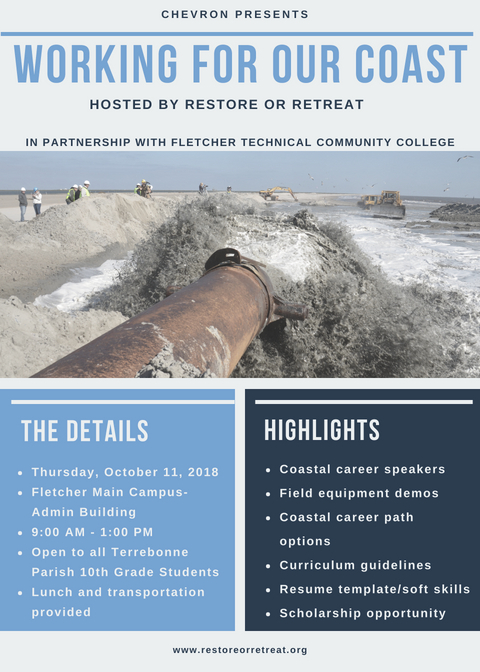 Working for Our Coast – Restore or Retreat, Inc.
Save the Date– Join us for our next Working for Our Coast event on Thursday, October 11, 2018! Download a Working for Our Coast Flyer. Interested in being a speaker, hosting a table or doing a demo? 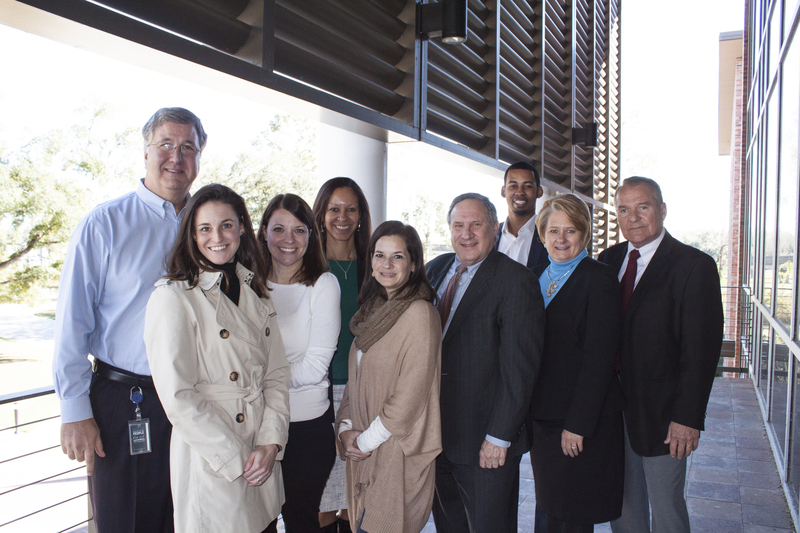 In December of 2017, Restore or Retreat, along with partners South Central Industrial Association, South Louisiana Economic Council, Terrebonne Economic Development Authority, Greater New Orleans, Inc, and Fletcher Technical Community College, hosted an industry roundtable as a follow-up to our May workshop “Working for Our Coast.” Presenters from GNO Inc provided information on the growing water management sector here in coastal Louisiana, and Jason Lanclos, Deputy Executive Director of the Coastal Protection and Restoration Authority presented on the 2017 update to the State’s Master Plan. We look forward to more productive events just like this in the future!